Peter Marsh Hairdressing focus on quality and training. All staff are trained to a very high standard and Continued Professional Development is compulsory practice in the company. We do not rush our work as we consider hairdressing a modern day art form where each and every one of our clients is our masterpiece. We take pride knowing that we have given you our best. As a ‘Club Revlon’ salon, our staff attend skill enhancement courses to ensure they are up-to-date with all of the latest shifts, changes and developments in the industry. Peter became the youngest Senior Stylist in one of the leading salons in the North East of England before being head hunted for a Salon Manager position. All this before he was even twenty years old. 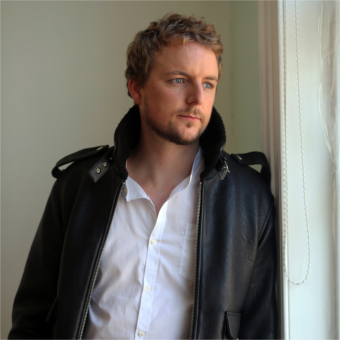 By then he had already worked on projects for Film 4 and was a member of an art team for one of the North's original Creative Director companies that introduced hair extensions to the North of England. During Peter's time in the industry he has worked on various photoshoots as a 'session stylist' as well as on fashion catwalks, film premieres and even styling musician's hair backstage before concerts. He has cut and styled the hair for professional models such as Britain's Next Top Model winner Lucy Ratcliffe, professional footballers from Sunderland AFC, Newcastle Vipers Captain Jonathan Weaver, TV Agony Aunt - the late and much loved Denise Robertson, Ibiza DJ Rob Auton as well as musicians Nadine Shah and Elbow frontman Guy Garvey. Peter was asked to enter the 2017 Revlon Professional Style Masters International competition and finished within the top ten of all entries within the United Kingdom and Ireland. Since then Peter was invited to backstage training for Revlon Professional British team for London Fashion Week 2018 under the direction of world famous hairdresser and the protegee of Vidal Sassoon, John Vial. Peter set up his first salon on King Street in South Shields which became the highest five star rated salon in the area on all social media websites and won an award for the best salon in the town, all in less than a year. 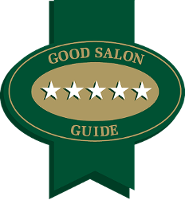 Peter was pleased to announce that his salon was also awarded five stars for Hairdressing and Beauty Therapy by the Good Salon Guide earlier this year. In June 2018 Peter sent his team to Barcelona to the world finals of the Revlon International Stylemasters competition so that they could watch and learn from the very best in the world and bring these skills back with them to the salon. Peter specialises in creative cutting, bespoke and creative colour, hair loss, Trichology and is a 'Club Revlon' team member. 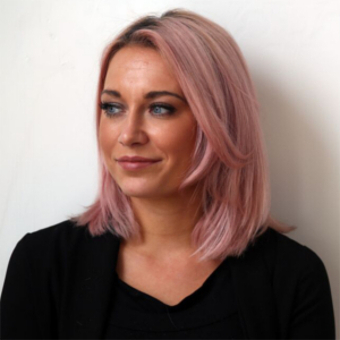 Frances has worked in various highly regarded salons within the North East before joining our team. 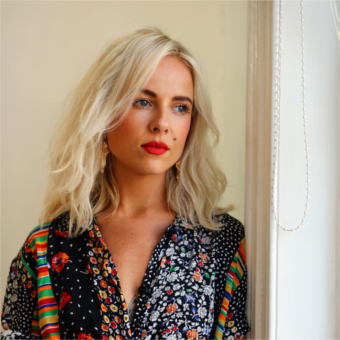 She is one of the founding members of staff alongside Peter and through her very creative ability and talent has helped shape the salon to what it is today. Frances is a 'Club Revlon' team member and is a highly qualified stylist within the Revlon brand. 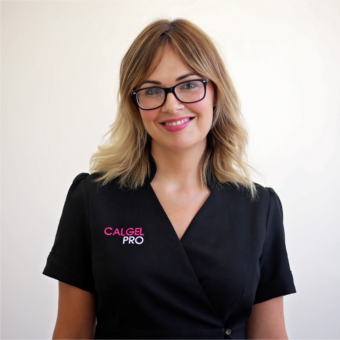 She specialises in bridal hair, bespoke and creative colour, hair loss and Trichology. Frances was part of the team that worked to get the salon to the very high standard that was awarded five stars by the Good Salon Guide for Hairdressing and Beauty Therapy earlier this year. In June 2018 Frances attended the 2018 Revlon International Stylemasters competition in Barcelona, watching and learning from the very best in the world and hoping to bring back these skills to use within the salon. Jennifer started her hairdressing career working in one of the most prestigious hairdressing companies in England. Since then Jennifer has worked on board Luxury Cruise Liners and she has worked within some of the North's most famous hair salons cutting the hair of the likes of Editor's guitarist Justin Lockey and many more from the local music scene. Jennifer was also head hunted to manage a prestigious salon in London which she did successfully for many years before returning home to join our team. Jennifer is a 'Club Revlon' team member and is a highly qualified stylist within the brand. Jennifer is a specialist in Creative and Precision Cutting, Bridal hair and Creative Hair Pinning. Jennifer was part of the team that worked to get the salon to the very high standard that was awarded five stars by the Good Salon Guide for Hairdressing and Beauty Therapy earlier this year. In June 2018 Jennifer attended the 2018 Revlon International Stylemasters competition in Barcelona, watching and learning from the very best in the world and hoping to bring back these skills to use within the salon. Angela has worked in the beauty industry locally for over 15 years in highly reputable salons as Head Therapist and Assistant Manageress, and has gained a wealth of training and experience during this time. She takes great pride in every treatment carried out and is a very thorough Beauty Therapist who has an eye for attention to detail. Angela specialises in Cathio Facials, Eyelash Extensions, Waxing and Gel Nails. She has a wide customer base from across the region which speaks for the quality of her work.